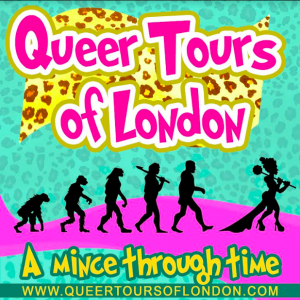 In collaboration with Hackney Council – ‘Queer Tours of London – A Mince Through Time’ are proud to announce these 2 special Hackney LGBT History Tours. Come and learn about Hackneys rich history of LGBTQI+ arts, activism, sass, cabaret, resistance, oppression and much more from people who were there at the time and have changed the course of Hackney history. 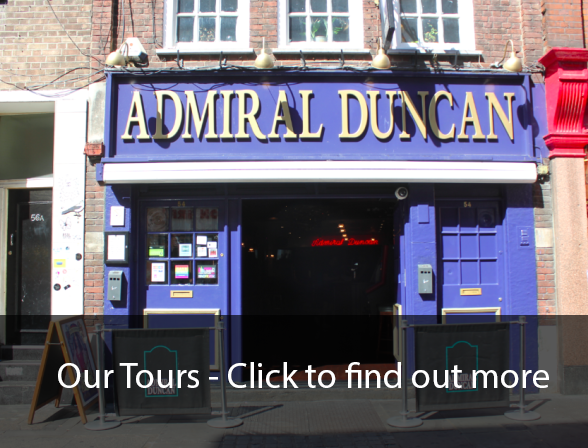 These special tours serve to generate support for Hackneys first LGBT+ Pride. All profits go to local LGBT+ homeless empowerment programmes. For this years 50th anniversary of partial decriminalisation of homosexuality ‘QUEER TOURS OF LONDON – A Mince Through Time’ are being set up to bring forth the visibility of our incredible community at large and the journey to how we became who we are today. Against the backdrop of the mass closure of LGBTQI (Lesbian, Gay, Bisexual, Transgender, Queer, Intersex) cultural spaces and support services, ‘QUEER TOURS OF LONDON’ are being developed to support London’s current queer activism, culture and performance in all its glory.